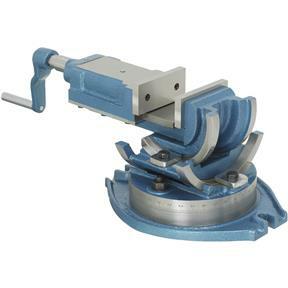 This is a Three Way Heavy-Duty Vise that gives you the ability to hold work pieces at compound angles. 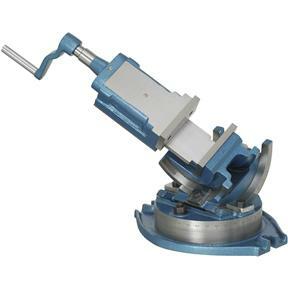 The vise swivels 360°, and tilts in two directions. Jaws measure 4-1/8" wide and maximum opening is 4-3/16". Made for knee type mills, the quality on this vise is superb. Weighs 46 lbs.